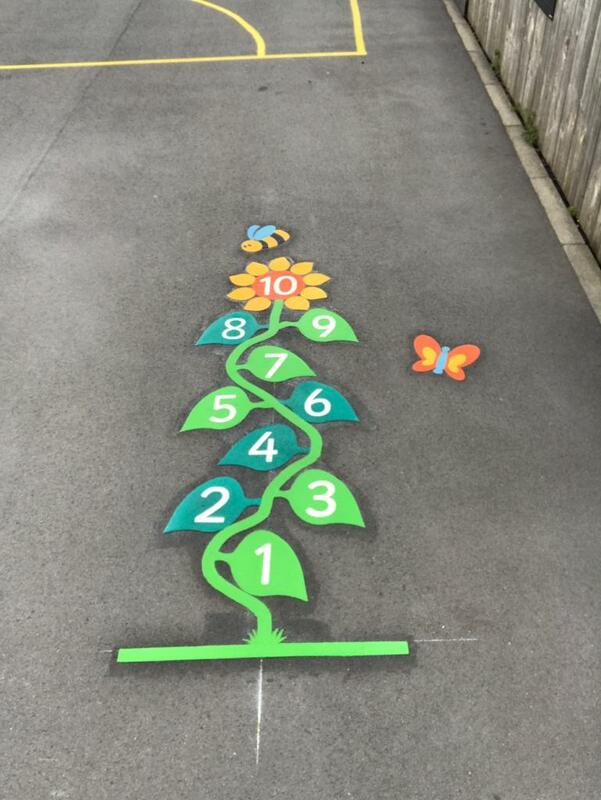 first4playgrounds were recently instructed to design and install an exercise Fitness Trail at St Thomas Primary School in Barrowford, Lancashire. 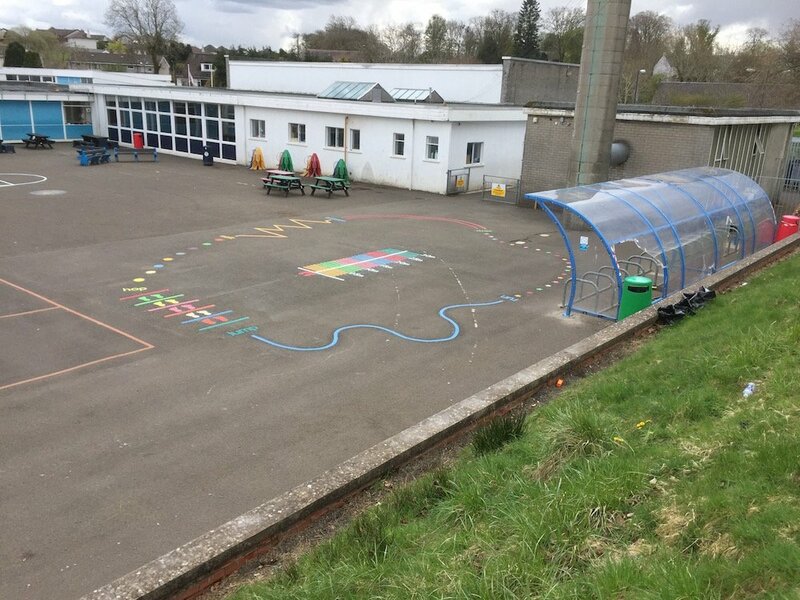 The objective was to provide a circuit that the children could use during their PE lessons as well as during during playtime. 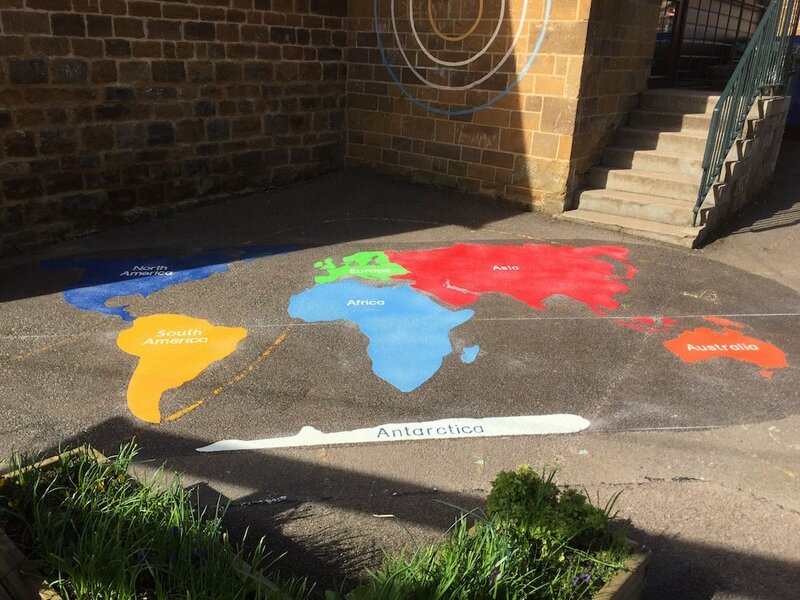 The circuit starts with a 10m Sprint to the first station where they do 10 Star Jumps, then they run to the next station stepping on the circles on the ground. They then proceed to the next three stations where they do 10 Squats, 5 Lunges on each leg and 10 Press Ups. They continue around the purple line touching the circular discs on each side of the line with the same hand as on the disc. At the last station they Hop 5 times on each leg before sprinting 20m to the finish line. 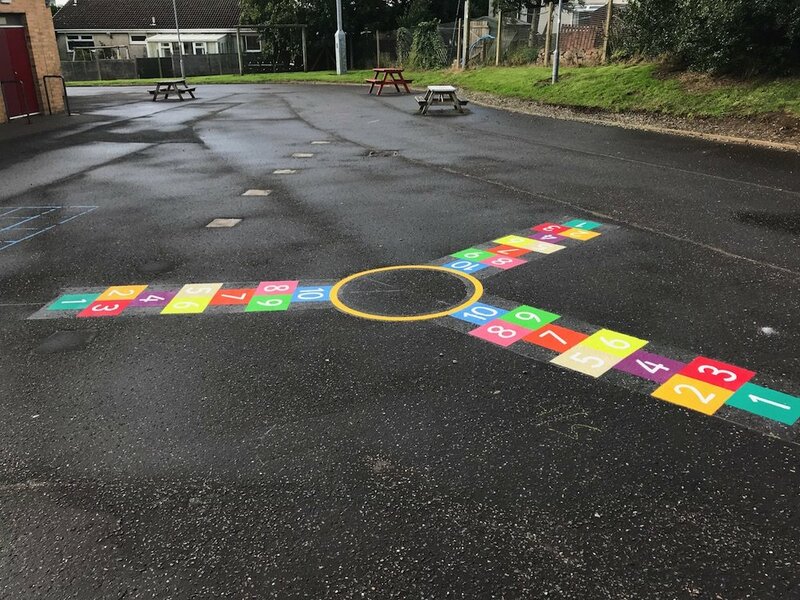 first4playgrounds playground marking Fitness Trail is supplied and installed for £795.00 subject to a site survey (plus VAT). 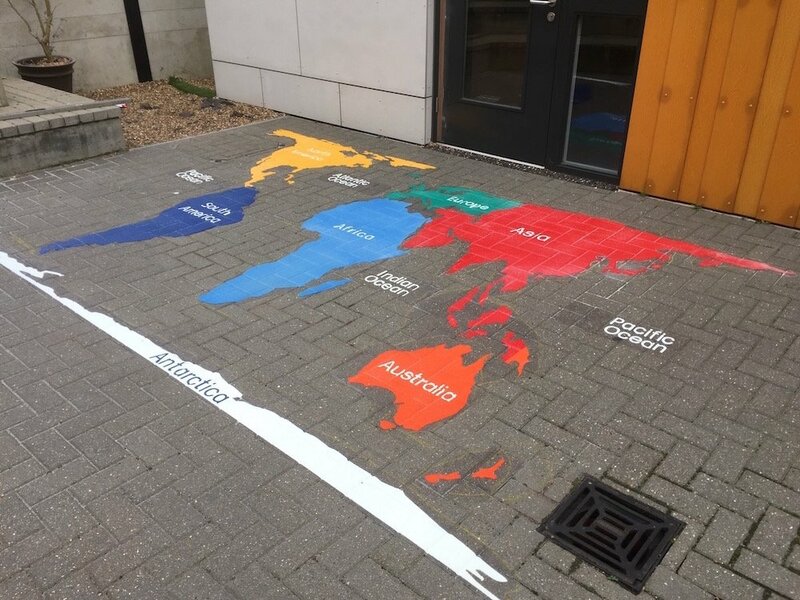 The fitness trail can be adapted to fit any playground, and any exercise stations can be added or taken away as required. 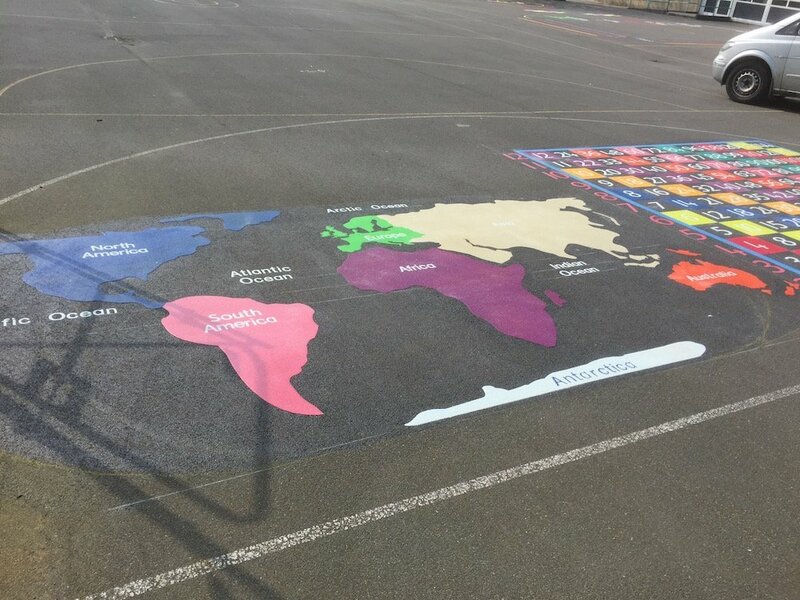 We can also design any playground markings at your request. 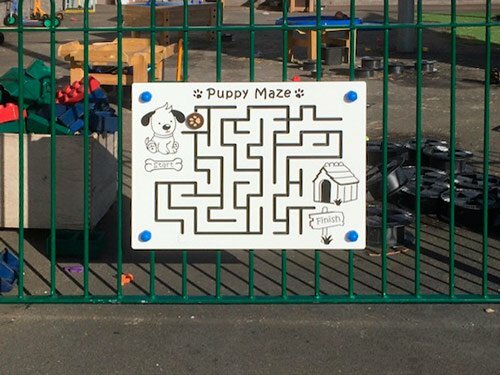 Please contact us through the website for your free site survey and playground design or call 0191 477 8900 for a brochure.